The beautifully designed key stand made of marble is just the right artifact to decorate your house. The dancing peacock in the middle of the Read More..show piece makes it an innovative and attractive piece. 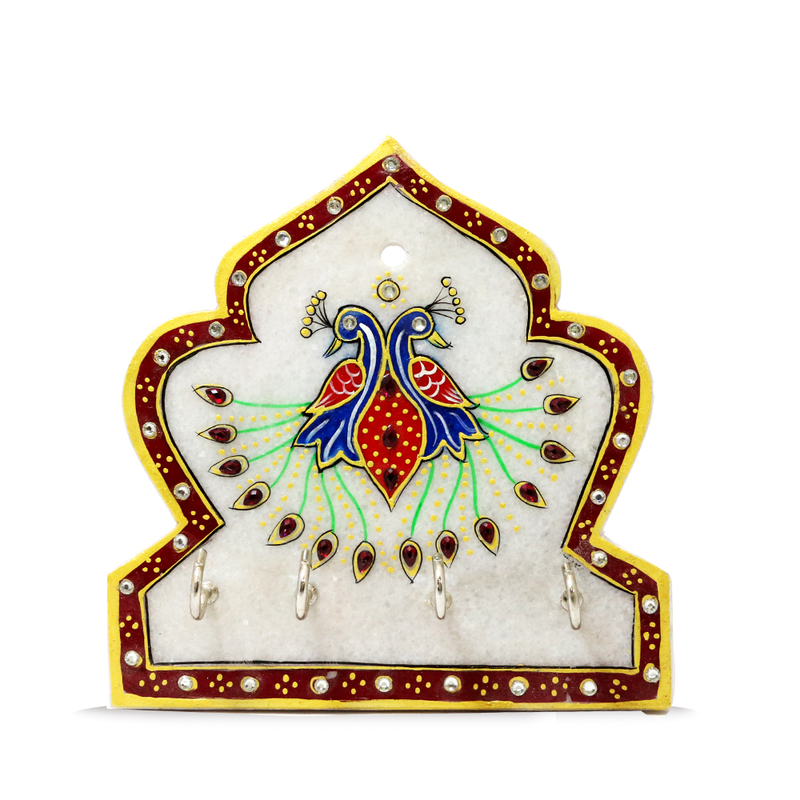 The border of this decorative piece is garlanded with kundan work.It adds color to the house and makes a beautiful present for religious events, diwali etc. This product is handmade and therefore magnifies the intricate designs. Show Less..